Summers in Tokyo are notoriously hot. I’ve spent many a frantic morning in hotels where between stepping out of the shower and dressing myself, I have begun to sweat and my hair dried completely all in a matter of minutes. And let’s face it – nobody wants to spend their entire holiday running between shops purely to relish the air con, but without some forward thinking you may well find yourself becoming a sweaty mess more often than you’d like amid the scorching summer heat. Here are a few activities to tick off the list on those particularly hot days. This one’s a no-brainer when it comes to cooling down in the most effective way possible. Tokyo is home to a handful of colourful waterparks, but top of the must-visit list sits Tokyo Summerland. This aquatic amusement park has every type of water-based entertainment you can imagine, ranging from a lazy river and waterfall to the ominously named ‘super monkey float’. The outdoor pool is, of course, the park’s main attraction, and encompasses a whopping 650m of flowing water in which to splash around. This place tends to get incredibly busy in the summer months, so be sure to head down in the early part of the day to avoid becoming part of a living nightmare. The towering buildings of concrete, neon lights and swathes of people rushing from ‘a’ to ‘b’ tend to make Tokyo a rather hectic place to say the least – but there is an escape. 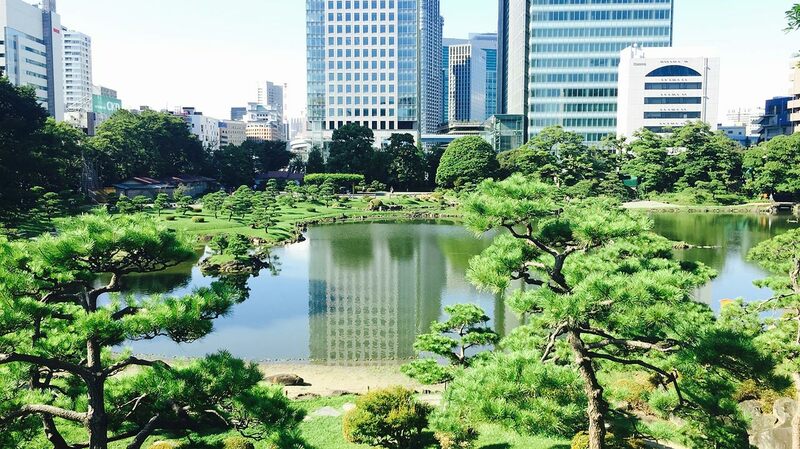 As the world’s most populous city, Tokyo is surprisingly green, with over 6,000 gardens and parks spread across the chaos, yet somehow claiming complete tranquillity amid it all. Many of the parks are home to traditional Japanese shrines and temples, situated within the depths of wooded areas and amid waves of green foliage. Pack up a picnic for the day and head to one of Tokyo’s impressive green spaces and take cover under the shade of the trees. Once surrounded by both the beautiful ponds, clad with lotus blossom and the colourful flora of the traditional Japanese gardens, you’ll feel a million miles away from the rush of Tokyo’s streets. If you’re out on foot exploring the streets, things are going to heat up down there pretty quickly. 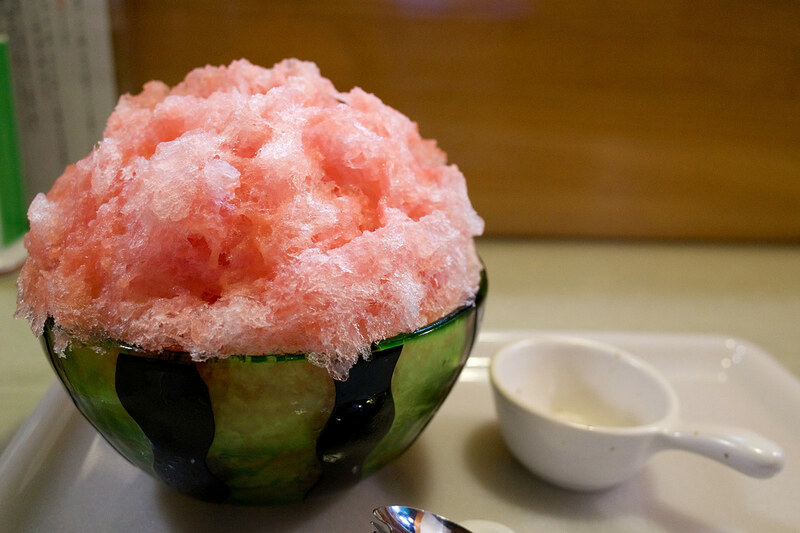 Thankfully, the Japanese invented shaved ice – otherwise known as Kakigōri – which is widely recognised amongst all ages as the go-to snack for a quick relief from the humidity. This sweet dessert is formed of shaved ice, condensed milk and syrup, but can be topped with any number of delicious treats ranging from brownies and cherries, to lemon and Japanese red bean. You’ll find shaved ice being sold on any given street in the populated areas like Harajuku or Shinjuku and can choose to either try it in one of the many sit-down restaurants – dedicated to serving shaved ice as their pièce de résistance -or grab some on a street corner. If you can’t find refuge on dry land – head to the great, wide ocean, or at least southern Tokyo’s bay. Hop on board the Tokyo Water Bus, as not only does the skyline truly come to life from here, but you’ll be sure to catch the ocean breeze. In fact, the Tokyo Ferry serves as a good alternative form of transport to the subway when reaching destinations near the water, allowing you to escape the muggy underground. Experience the fresh ocean air from the Tokyowan Ferry which traverses the large body of water stretching between the capital and the Chiba region, lasting around 40 minutes. 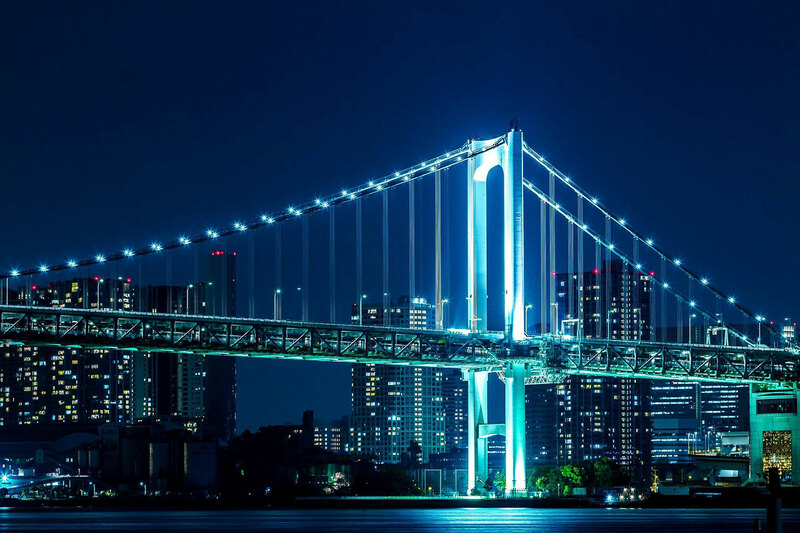 On those warm evenings, book onto a traditional yakatabune boat and enjoy Tokyo’s major landmarks such as the Rainbow Bridge and Tokyo Skytree, whilst cruising alongside Tokyo’s glimmering skyline away from the crowds. If the summer sun gets too much, retreat to the comfort of your hotel. 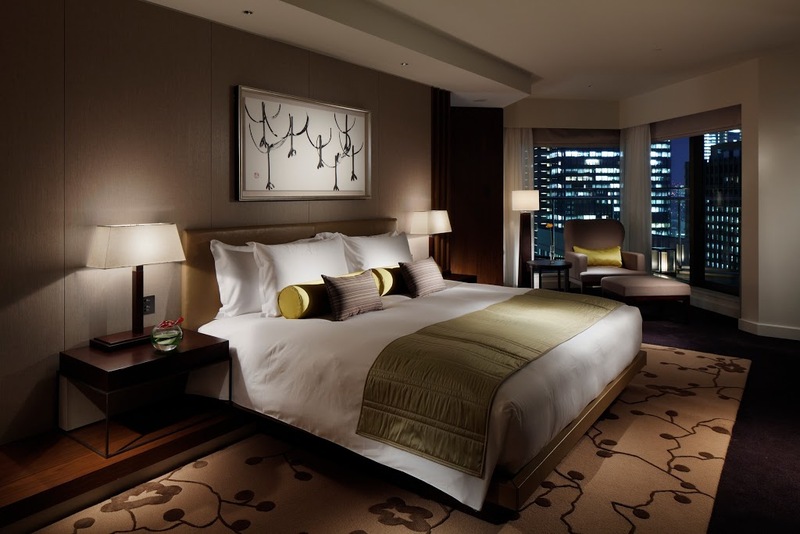 In fact, for me, if I wasn’t so incredibly interested in actually seeing what Tokyo has to offer, I could quite comfortably never leave the exceptional Japanese hospitality behind, as the best hotels in Tokyo provide everything you could ever need within four walls. Take this opportunity to relax and spend the day sampling the traditional Japanese spa treatments on offer, or even take a dip in your hotel’s plunge pool with a cocktail or two.